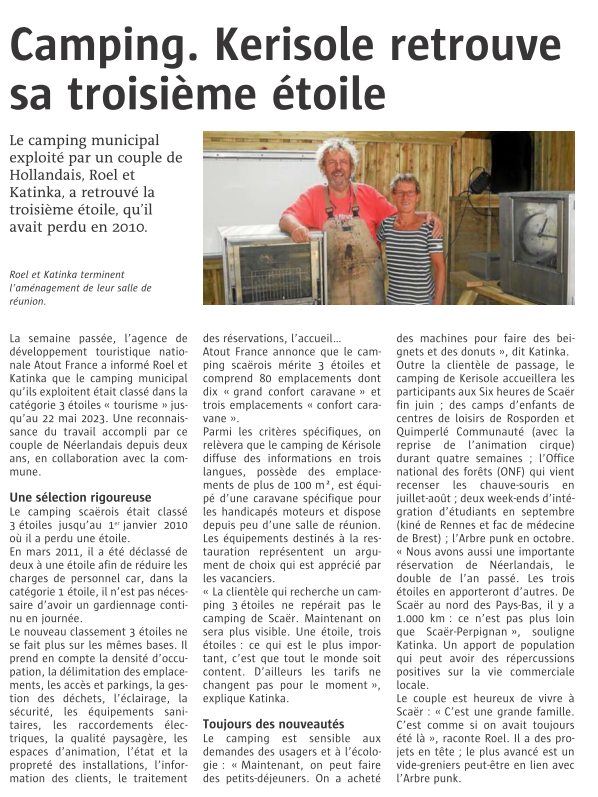 Today there is a nice article written by Francis Salaun in Le Telegramme. This of course because we have received our third star for the campsite. 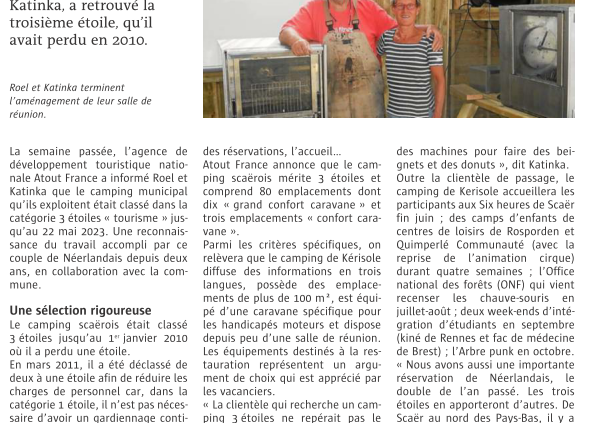 Camping Kerisole has 3 stars *** Tour de France is coming!